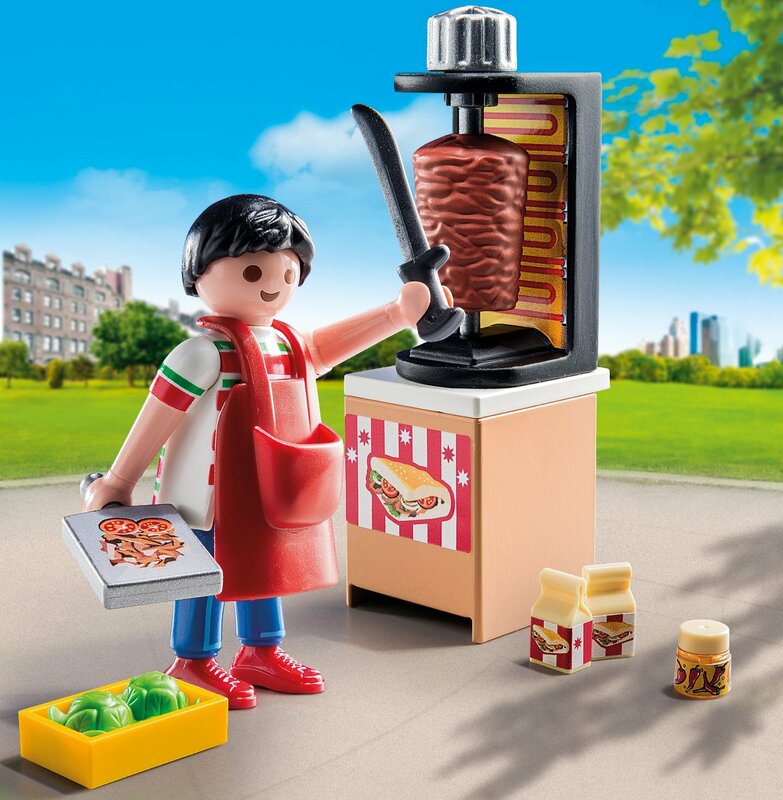 Stop by the kebab vendor for a mouth-watering lunch. 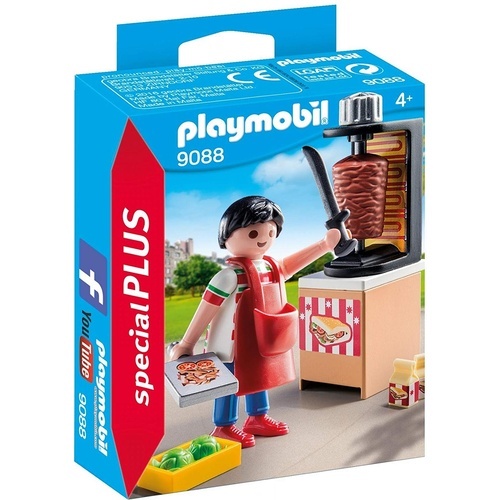 Play with this set on its own or combine with any other Playmobil set. 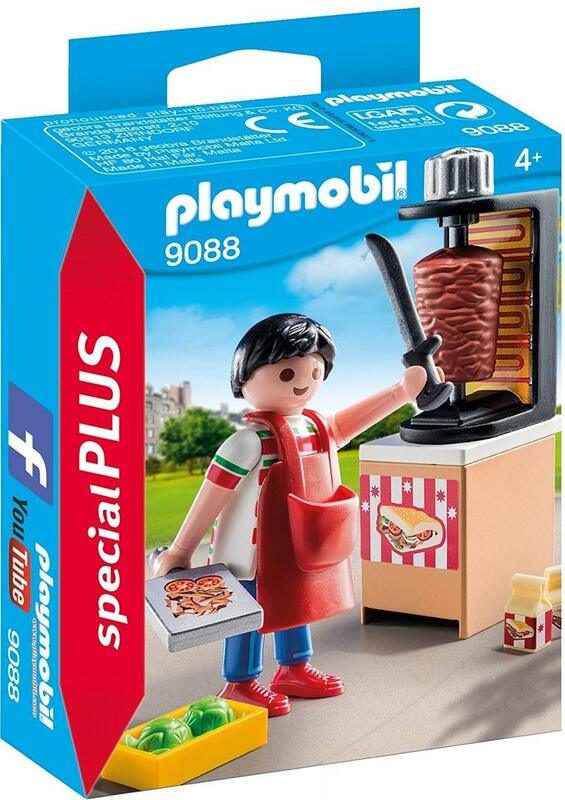 Set includes kebab vendor, apron, kebab meat on a Spit, knife, condiments, and other accessories.